True journalism differs from public relations and uncritically reproducing press releases. It involves doing background research into the context surrounding the finding being reported, seeking comments from independent experts, and highlighting the negative as well as positive aspects. In this article, I pull together information for medical writers interested in journalism or science writing. Ten years ago, I wrote an article on medical journalism for the The Write Stuff, the precursor of Medical Writing. That article sought to define the differences between journalism and other types of scientific writing, and looked at prospects for medical writers (and others) wanting to make the move into medical journalism. At the time, I was working regularly as a scientific and medical journalist alongside my main job as a freelance medical writer. Then, for various reasons, medical writing took over, and a magazine that I’d contributed to for two years folded. So this article will be less of an account of my personal experience and more a pulling together of the information that’s out there for someone interested in journalism or science writing. It is written from an Anglophone perspective; practices may be different in other parts of the world. 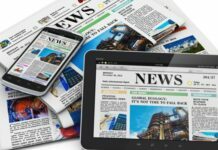 of health-related information through mainstream media outlets’ However, this isn’t wholly satisfactory as it ignores what many would see as an essential distinction between journalism and public relations (PR). PR specialists may write press releases that end up being reproduced by the media, but they are not journalists. However, medical charities, non-governmental organisations, and universities all employ science communicators to publicize their research, and this is a way of being paid to write about science in a less commercial environment than corporate PR. Perhaps a better definition of journalism would be ‘Medical Journalism: Exposing Fact, Fiction, Fraud’, which is the title of a 2001 book by Ragnar Levi. The book includes ‘information on pitfalls, stakeholders and their vested interests, telling facts from fiction, asking better questions and seeking betters sources’. A key difference between journalism and PR (or indeed medical writing) is that journalists aren’t paid by the companies whose products they write about, and so are free to ask awkward questions and approach a subject from any angle they wish (within their own organisation’s agenda, if it has one). The UK’s Medical Journalists’ Association (MJA; http://www.mjauk.org) says ‘we take pride in our autonomy and our motto: Independent and bloody minded.’ However, it’s also common for newspapers and magazines to uncritically reproduce the press releases that flood into their offices, a practice that has been nicknamed ‘churnalism’ and is often the result of budget cuts. True journalism involves doing background research into the context surrounding the finding being reported, seeking comments from independent experts, and highlighting the negative as well as positive aspects. 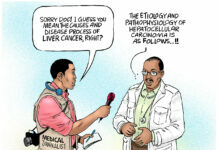 What do medical journalists do? MJA, [Our membership] includes medical, health and pharmaceutical journalists, as well as doctors, nurses, therapists and academics. We contribute to national and regional newspapers, professional journals, business and consumer magazines, radio, television and the web and between us we have written hundreds of books and reports. The Association of British Science Writers (ABSW) says: [Science journalists] use words, sounds, images, and graphics to create compelling stories about science that appear in newspapers, magazines, online, and on the radio, TV, and on the web in podcasts and video clips. Science journalists write about recent research discoveries; they also provide analysis, context, and perspective by exploring the social, ethical, and political implications of scientific advances and the scientific process. However, the ABSW goes on to say: Journalists also hold scientists and the scientific process up to scrutiny. They examine questionable statistics or overinflated claims; they investigate scientific misconduct, conflicts of interest, and ethical breaches. They are often cool, dispassionate critics of science as much as they are champions of science. How does one break in to medical journalism? Some medical journalists are full-time but others do it as a sideline to a medical or academic job. The rise of web-based communication and the decline in revenues earned by print publication has changed the job market for medical journalism, and has suppressed pay levels as readers and publishers increasingly expect content for free or for very low fees. Medical and scientific journalism is extremely unlikely to make you rich, and pay rates are lower than in medical writing. However, as the ABSW explains in its guide to being a science writer, there are still opportunities. Blogging and tweeting are now standard parts of many science writers’ work and are also suggested as ways to build up a body of writing as a way of getting noticed. Increasing numbers of science writers in the UK come through one of the various degree courses in science communication. Freelancing as a medical or scientific journalist can be fun but is hard work unless you have someone who will regularly push work to you. Otherwise, freelancers must keep pitching ideas to editors. Each pitch takes time and effort to research, and editors receive far more ideas than they can use. Before approaching an editor, research the publication or website thoroughly and look at their guide for contributors. According to the ABSW, the best way to decide whether science journalism is right for you is simply to have a go. Blogging, writing for your university, corporate or professional magazine or taking an evening or online writing class are all ways to get started. The World Federation of Science Journalists has put together a free online course, available at http://www.wfsj.org/course/ index-e.html. Be wary of the heavily advertised courses that promise to refund your fees if you don’t earn them back through writing. Courses from professional or academic providers are likely to be of better quality. Can you be both a medical writer and a medical journalist? Yes, but it involves a change in mindset. For example, the information required in an academic conference abstract is very different from that needed for news story on the same study, and so is the style of writing. Many medical writers find it difficult to make the transition. However, in-depth knowledge of drug development and rigorous scientific training could give you a competitive edge if you can develop your writing and communication skills in the right way. Jo Whelan is a medical writer in medical communications and health economics based in Oxford, UK, and is founder and director of Textpharm Ltd. She has written news and feature articles for publications including New Scientist, Drug Discovery Today, and Sweet magazine. Fraud. Hoboken, NJ: Wiley-Blackwell; 2001. Association of British Science Writers. Science writing: the basics. Association of British Science Writers; 2015[cited 21 August 2015]. Available from: http://wwwabsw.org.uk/files/SYWTBASW_PDF_MB1_1.pdf.